I must say I'm a huge fan of the AudioBookneer. 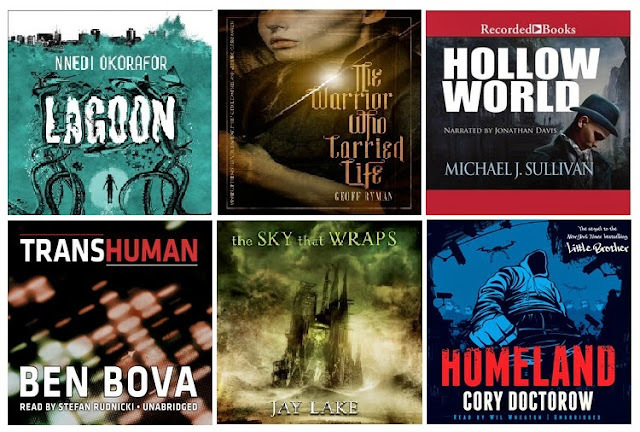 First they have a great name, but more importantly I've picked many audio books based on their recommendations and I've not been steered wrong yet. So, it was a huge honor that they included Hollow World in their picks of the week (April 9th - April 15th). I've already added the others to my wish list - and I'm sure I have some great listens ahead of me. The First Empire - it's done...for now. Hollow World Book Launch Party! It's HOLLOW WORLD release day!